Has it been difficult for you to select a hosting site for multiple websites? Consequently, you must have had to invest your precious money on individual hosting services for each? You need not worry any longer because now, you save cost, effort & time by setting up multiple accounts under a central hosting area. Multi-Domain Hosting ensures unlimited storage, add-on accounts, and data transfer- all at a single go. All your accumulated information will be stored under specialized bandwidth quotas and lets you manage them in a more organized manner. Server capacity is to be calculated judiciously, as a slip would mean buying more sites for the same task. It is vital to note that there will be a primary domain that is going to be accompanied by the secondary sites. The same content in the primary field can be used when extensions are varying but the domain name remains the same.Multi-Domain Linux Web hosting can be assessed via the Control Panel, an IP address and a domain name. The Login details and passwords are absolutely secure. If the content is going to be uploaded using the FTP Client, you can use both explicit and implicit modes. It allows you to change your personal data anytime as per the policies of the hosting site. Multi-domain hosting services are vital components to accommodate your creative insights into one single package. They can be allocated at various portions of the hosting site. It comes up with sufficient speed limits, especially if there are graphic or video contents. Providing customer support is painless as administrative functions like unlimited email storage is possible. Traffic and outreach will expand dramatically once a better value is received within a single interface. 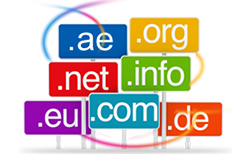 Regardless of your expertise level, multiple domains can be hosted according to your requirements. We at Hostjinni.com assure 10 GB Webspace, accredited industrial regulation, 100% automated actions till payment since 2005, and 100% uptime alongside hardware replacement within 2 hours. Multiple domains hosting India is growing at an unprecedented rate with premium quality providers. Unlimited aliases can be availed via shared hosting at negligible prices. The server easily works with Python, PHP, Ruby, and MySQL languages. Reselling subdomains, specified email programming and efficient backup can be yours if you choose our super-fast server for your multiple domains' hosting needs.